Caring for the elderly is a special privilege. We understand that every resident is unique with varying needs that require different solutions. Caring at its Best means we focus on every detail so that we can personalize our service to exceed the expectations of each resident and their family. Our attention to detail is directed to every aspect of our operation. It begins with the design and size of the building and continues with the services we provide, the staff we employ, and most importantly, the residents who choose to live at Heritage. 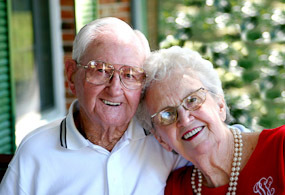 Caring at its Best is a tradition at Heritage Assisted Living. Please follow the links below to find out more about each of our locations. A personal visit is the best way to truly experience the care and compassion we provide. Feel free to stop by for a visit anytime or call to schedule a tour.